The 413th Fighter Group (Single Engine) was constituted on October 5, 1944 and activated on the 15th of the same month. The pilots trained for long range missions flying Republic P-47Ns. The “N” variant was specially designed with long range flight capability in anticipation of an invasion of Japan. First based at Seymour Johnson Field in North Carolina on October 15th, the quick growth of the unit required a move to Bluethenthal Field, NC in November. The Group consisted of three squadrons, the 1st, 21st and 34th. 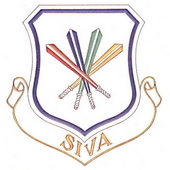 Each squadron was “double strength”, meaning that pilots shared airplanes. Given the long range missions, this allowed for appropriate pilot rest while maximizing the use of aircraft. In April 1945 the 413th was transported to Japan. Most of the personnel traveled by train to Seattle, WA, where they boarded the Kota Inten, a former Dutch Freighter. 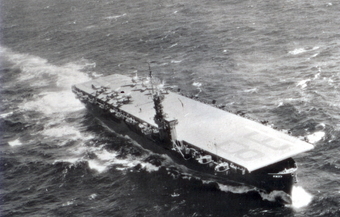 Many of the pilots were transported from San Francisco aboard the USS Kwajalein, a transport carrier. These pilots traveled with the planes, stopped and flew strafing missions against the Truk Islands from Saipan. Both groups rejoined on Ie Shima, an island just off the coast of Okinawa in the Ryuku Islands. The 413th received 17 Aerial Victory Credits. 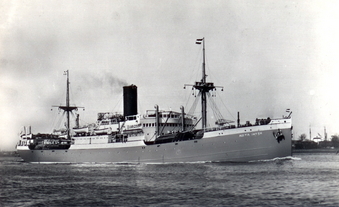 Most of the personnel travelled from Seattle to Ie Shima aboard the USAT Kota Inten, a Dutch freighter(as pictured) before the war.